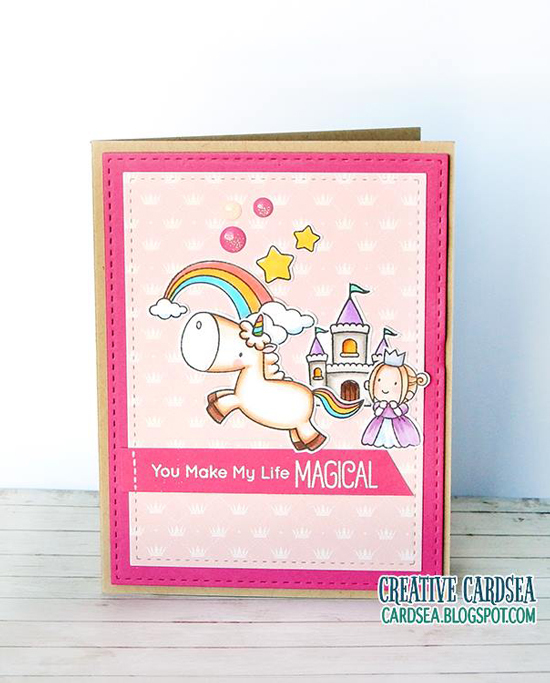 We love all of the elements that Elle included on her magical scene. The faux stitching on her panels adds detail and texture to her design, and she even extended the stitching through her sentiment banner with a white gel pen to complete the look. Just when we thought holiday cards were completed and put away, we spot this gorgeous creation by Sonja. 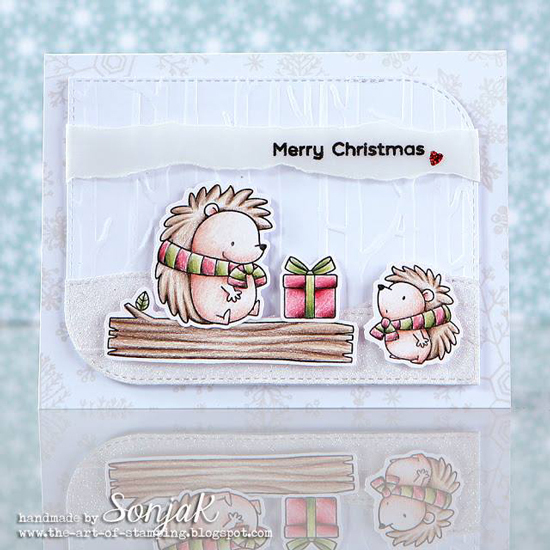 Gorgeous coloring on her sweet hedgehog images with a beautiful textured tone-on-tone background provides a beautiful holiday card design. Natalie created an underwater scene that extends through all three of her windows. The images peeking out of each opening illustrate movement and really bring her seascape to life. At first glance, you wouldn't know that this card is actually interactive. KraftKutir very creatively added bookmarks to her nighttime setting with the top two cat images peeking out of the grass. Each of them can be removed from the card with a bookmark banner end, to hold a spot in your favorite book. 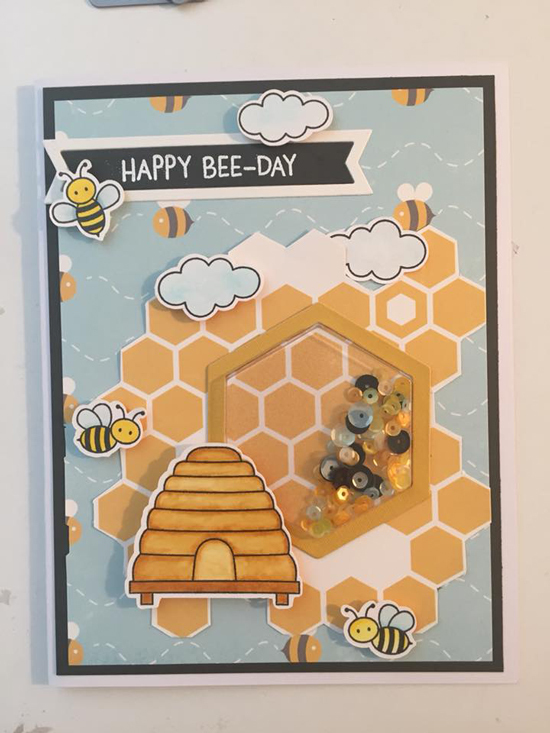 Debbie created a bee-utiful card design featuring our Meant to Bee stamp set with a fun shaker element added in. 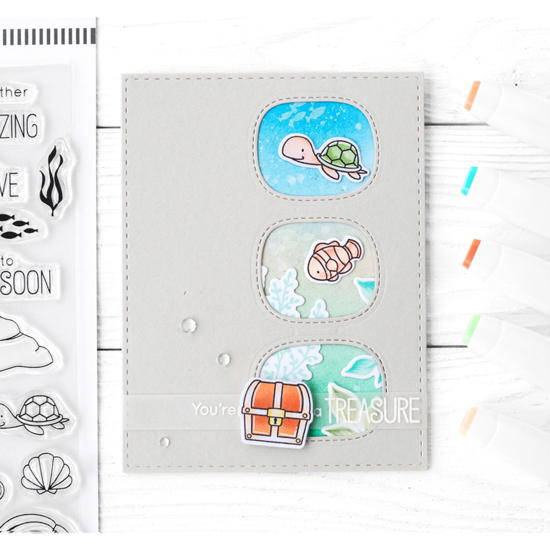 We love how she added some of her stamped images with foam adhesive for a fun dimensional look. 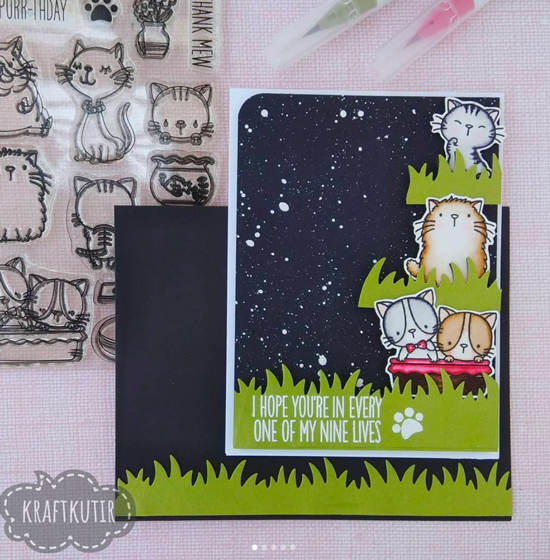 Aww, so thrilled to see my card in the spotted section! Thank you so much for sharing it. 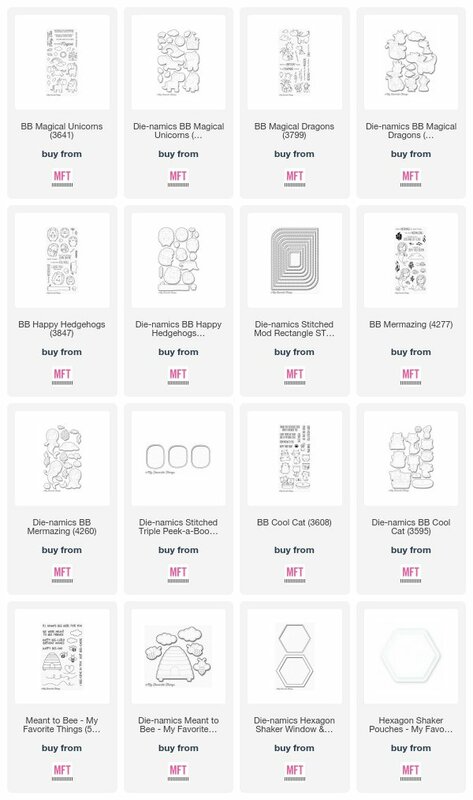 And congrats to all the other stampers whose projects are featured. So much talent and inspiration! Beautiful creations! Congrats to all of you who have been spotted. congrats to all of you talented ladies!